Adults and children alike understand the importance of brushing teeth. When we wake up and when we go to sleep, we brush our teeth to ensure fresh breath and removal of any food debris we may have leftover. However, many of us overlook the importance of flossing when it comes to our dental hygiene, especially the younger among us. 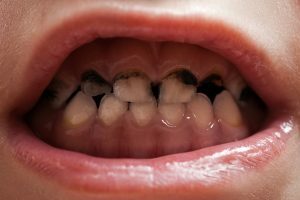 Children already struggle with finding the motivation to brush their teeth, so often asking them to floss is out of the question. However, making sure their teeth and gums are shiny and free of debris is beneficial not only for their dental hygiene. The Alligator Dental team loves healthy teeth, so we want to give the parents out there tips to help get your children excited about flossing and ensure you instill it as a good habit, rather than a temporary health kick for your youngster. Adults know the pain that comes from having a popcorn kernel or unwanted piece of food stuck in your teeth from your most recent meal. We also know the relief that comes from finally getting rid of that nuisance and freeing your teeth from the restraints of food particles. When your youngster’s teeth come in and they have chompers that fully touch, getting started with flossing then is ideal. Explain to them how, if they don’t floss, that constant irritation that comes after eating a sticky piece of candy and having it lodged in-between their teeth will be consistent if they don’t fix it. 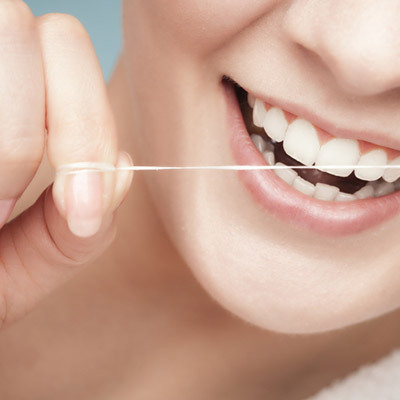 If they’ve had a cavity early in their life, telling them that flossing can keep them from visiting the dentist for another filling can also be a great motivator. You may be tucking your children in an hour or two earlier than your bedtime, but that doesn’t mean it’s too early to start your pre-bed oral care ritual. If your youngster is not thrilled about the prospect of brushing their teeth and flossing before a nightly story, flossing right alongside them can give them the boost they need to incorporate it into their evening ritual. If they see their parents, their biggest role models, doing something they themselves aren’t too keen on at first, as might be the case with flossing, they will be more open to it and see it as less of a chore. A family team approach is your best bet in making sure your kids appreciate flossing and make a habit of it. Flossing is an awkward and often annoying activity for youngsters. Forcing your hands into the back corner of your mouth while trying to operate a string is uncomfortable for anyone, especially kids who are not used to the action. Making it a fun and natural thing will help your children become more comfortable in this initially uncomfortable and forced situation. Good strategies would include things like having a contest to see who can make the funniest floss face or who has the stretchiest cheeks. You can also utilize flossers, which are single-use plastic flossing devices with handles, when starting your child out. These come in many different designs and colors, which makes choosing a flosser just as much fun as using it. The more enjoyable you can make flossing, the more likely your child will come to appreciate it and make it a lifelong oral hygiene habit. Ensuring your children have quality dental practices and health throughout their lives starts early. From the first cavity to losing the last baby tooth, knowing your child has a dentist who provides the finest pediatric dental care is important. If your child is ready for their first dental visit or you are looking for a change, set up an appointment with Alligator Dental today and see what makes us the finest pediatric dentist in the San Marcos and Seguin area!